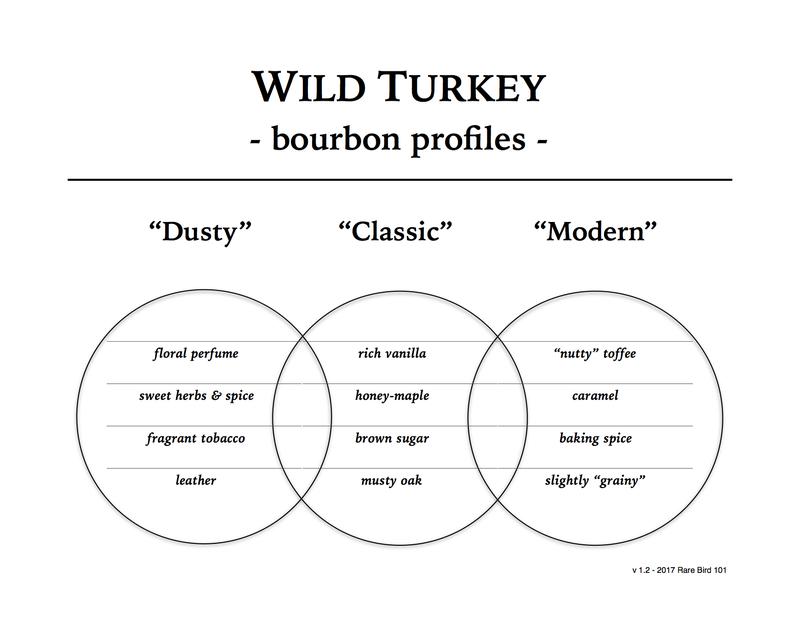 Before I kick things off I should preface this review by stating that modern-era Wild Turkey Kentucky Spirit isn’t something I typically get excited about. Russell’s Reserve Single Barrel? Yes, absolutely. Post-2011 WT Kentucky Spirit? Not really. Even WTKS private selections from well-known and reputable vendors/groups don’t motivate my interest nearly as much as they probably should. If you’re familiar with my blog this should come as no shock. I’ve discussed how I feel about recent releases of WT Kentucky Spirit more than a few times. To boil it all down, my indifference isn’t about quality – it’s about profile and value. There are reasons for this disparity, such as changes in entry-proof, dilution, and possibly maturity, but I’ll spare the details this time around. Just accept that the WTKS one sipped in the 1990’s and 2000’s isn’t the same as the WTKS one sips nowadays. By all means modern WTKS is a quality pour, but relatively speaking, so is modern WT 101. With similar profiles at a near-100% price difference, it’s not difficult to find yourself gravitating to the less expensive option. There are, however, ways around this dilemma. Sample exchange is ideal for trying single barrel bourbons like Wild Turkey Kentucky Spirit without committing to full bottle purchases. In light of that, I decided to dig through the Rare Bird 101 sample vault and find a WT Kentucky Spirit private select to review. While I’ve covered numerous Russell’s Reserve Single Barrel selections in the past, I’ve covered only one Kentucky Spirit private barrel. Thanks to a fellow whiskey associate (whose love of Wild Turkey is matched only by his generosity), I have the pleasure of trying this 2015 WTKS selected by Total Beverage of Thornton, CO. Overall: Perhaps my expectations going into this tasting were unnecessarily pessimistic, as I’m genuinely enjoying this Kentucky Spirit selection. Sure, it’s a $50 whiskey rooted in $25 Wild Turkey 101 notes, but there’s a bit more going on in addition to the standard vanilla, toffee, and baking spice. For starters, when nosing there’s an intense nutty presence that in many ways reminds me of Baker’s 7-year KSBW – just sweeter and richer (more candy-like). On the palate it’s notably oily with flavors one might easily associate with baked goods. In fact, I found the taste very reminiscent of Famous Amos chocolate chip cookies. As for the finish, it rounds out the experience rather nicely – circling back to the nutty vibe of the nose with just the right amount of warmth. In summary, this Wild Turkey Kentucky Spirit is flavorful and balanced, showcasing the best attributes of WT 101 with notably more depth and character. I’m not sure if this private selection is still available, but if it is it definitely gets my recommendation for any fan of the modern Wild Turkey profile. And for the record, I’ve read other reviews of this particular private select. Those verdicts range from “about as good as WT 101” to “a cut above.” I’m clearly in the “cut above” camp. There’s absolutely no reason to pay a premium for post-2011 WT 101 8-year exports with options like this Kentucky Spirit available at retail domestically.